Chapeau melon - Monsieur T.
Great for a cozy evenings with your feet tucked under a blanket, four or five pillows and a good book. The ultimate in comfort. 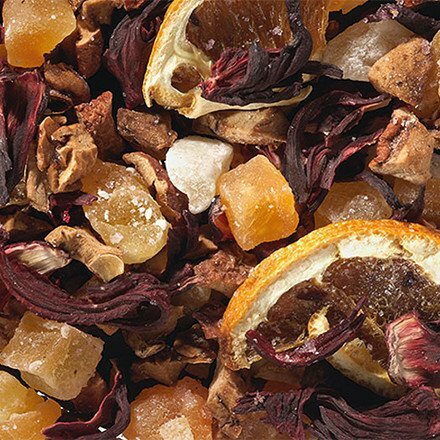 Apple and melons flavors with a touch of hibiscus and sliced oranges are what you'll find in this fruity herbal tea. It perfectly combines the flavors of ripe fruit and juicy citrus. It will make your mouth water and the melon taste will seduce you. Caffeine free, you can drink Chapeau melon any time of day...or night, who knows! 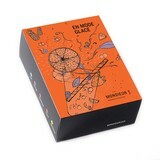 Contains: Watermelon cubes, apple pieces, hibiscus flowers, orange slices, flavors.